There’s a new Minecraft mod doing the rounds in which blocks can simply disappear in any given moment. Other blocks have been known to activate from some distance away when players have dared to look at them. Sounds buggy – until you learn that it’s the work of Google’s Quantum AI Lab – an online space built with NASA to accommodate international research in quantum computing. “We built the Quantum A.I. Lab to explore the potential of quantum computing, and figure out what questions we should be asking,” explained the info monarchs. “One question is clear: Where will future quantum computer scientists come from? “Millions of kids are spending a whole lot of hours in Minecraft, not just digging caves and fighting monsters, but building assembly lines, space shuttles, and programmable computers, all in the name of experimentation and discovery,” they wrote in a post on Google+. 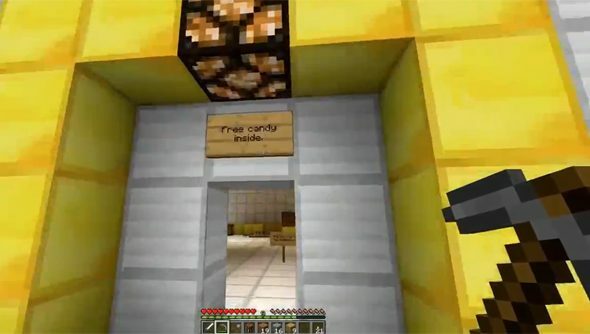 Looking to steer these creative young things toward future careers in quantum physics, Google talked to Caltech’s Institute for Quantum Information and Matter and stalwart supporters of teaching with blocks, MinecraftEdu. Together they conceived a modpack that would allow players to experiment with quantum behaviours via new blocks that displayed properties like quantum entanglement, superposition, and observer dependency. “Of course, qCraft isn’t a perfect scientific simulation, but it’s a fun way for players to experience a few parts of quantum mechanics outside of thought experiments or dense textbook examples,” said Google. qCraft can be downloaded as part of the most popular modpacks – Tekkit, Hexxit and Feed The Beast – or directly to play in conjunction with Forge 1.5.2, MinecraftEdu or vanilla Minecraft. What kind of twisted ideas have these new tools for creation prompted in you?